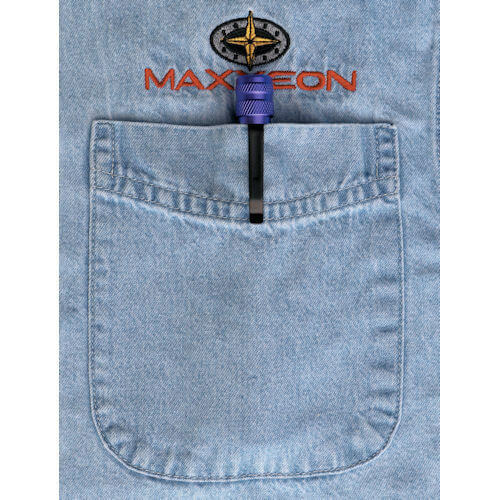 The MAXXEON WorkStar® 314 is a professional, 2xAAA battery, 395nm LED leak detection penlight/inspection light that produces 520mW, features a 3X zoom lens, runs for 30 minutes and is competitively priced. With an output of 520mW and a run time of 30 minutes continuous operation, the MAXXEON WorkStar® 314 is brighter and longer lasting than ordinary UV LED inspection lights. 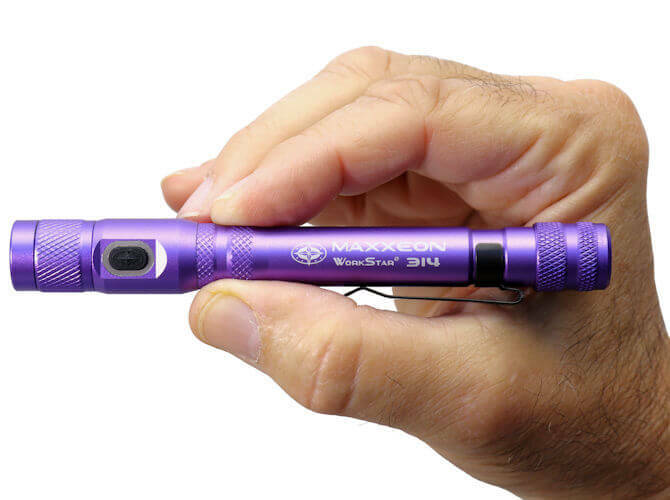 At 395nm, the WorkStar® 314 is a true UV penlight that is compatible with all (395nm) fluorescent leak detection dyes, unlike some of the competition that use 420nm violet LEDs. Just as important is the size of the beam. The 314's beam is much wider than competing LED penlights, without any hot spots or shadows. 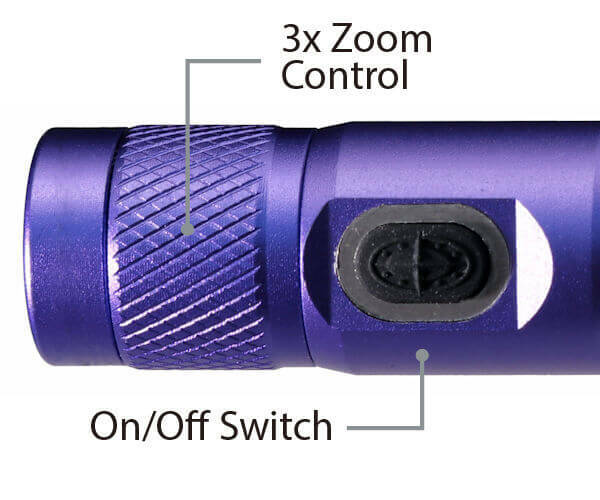 In addition, the 314 penlight has a 3X zoom lens, so you can adjust the beam width to suit the situation. It uses constant current electronics to extract the maximum run time from 2 AAA Alkaline batteries. CAUTION: Wear 100% UVA blocking safety glasses when using the WorkStar® 314. Do not shine the light in anyone's eyes. 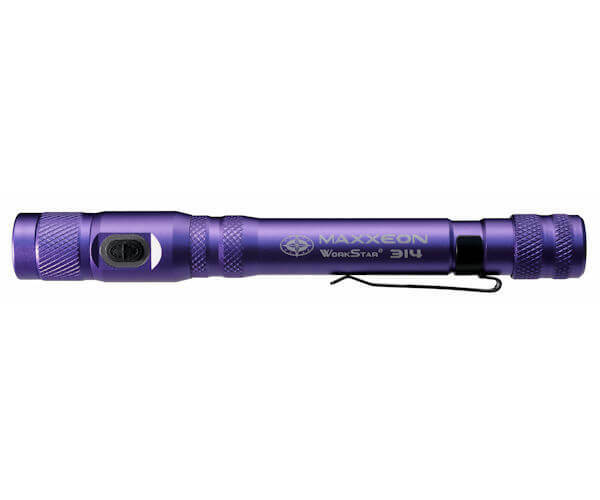 LIMITATION ON LIABILITY: In no event shall Maxxeon Inc. be held liable to any party for any direct, indirect, special or other consequential damages for any use or misuse of this flashlight, including, without limitation, any damage to persons or property, through direct or indirect use. The rugged WorkStar® 314 UV 395nm leak detection inspection light is compatible with all (395nm) fluorescent leak detection dyes and is designed for daily use by professionals in demanding shop, manufacturing and maintenance environments. 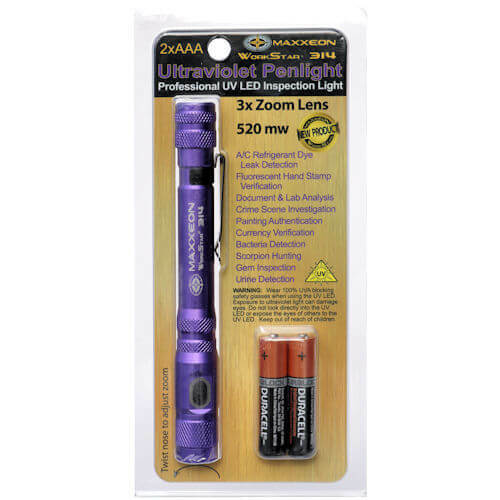 The tough aluminum body is anodized violet and is virtually indestructible. All threaded joints have rubber O-ring seals so it is IP67, dust tight & waterproof to 3 ft. The rugged side switch is rated at 100,000 cycles and is sealed to avoid contamination by dirt and grit. Zoom Lens Glass lens slides back and forth allowing you to focus the beam on your work area. 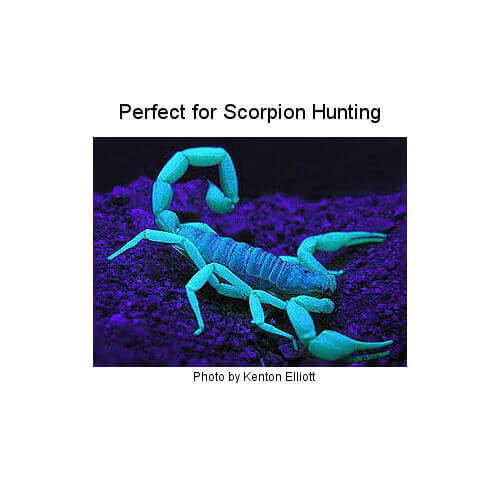 The zoom adjusts from wide beam with no rings, shadows, or hot spots to handy narrow beam. 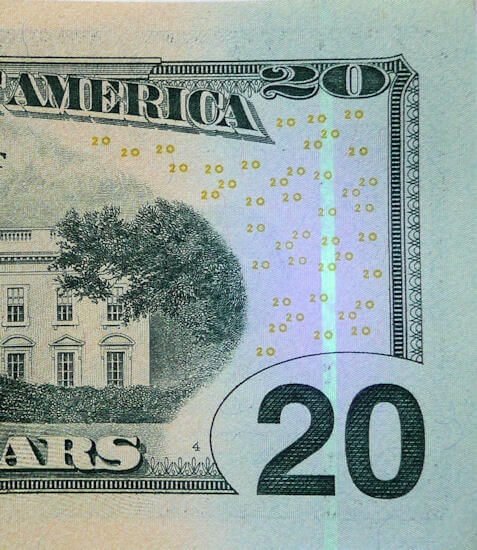 The beam diameter to distance ratio ranges from 1:1 to 1:3, meaning at 2 ft from an object, the minimum zoom beam is about 2 ft wide and the maximum zoom beam is about 8 in wide. 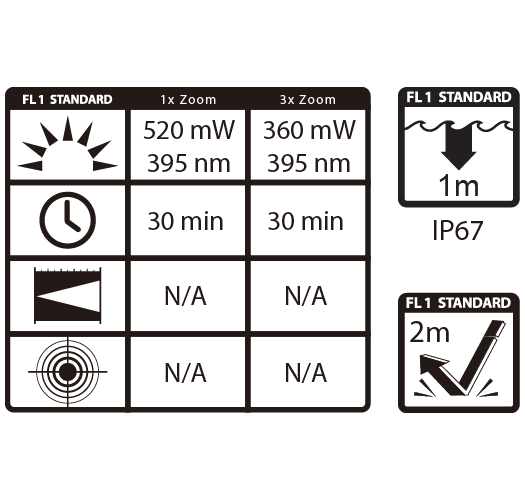 In other words, it has 3X zoom at maximum, relative to minimum.